Sandra is a sixth generation Canadian and a retired elementary school teacher (specializing in Computer Education and Learning Disabilities). 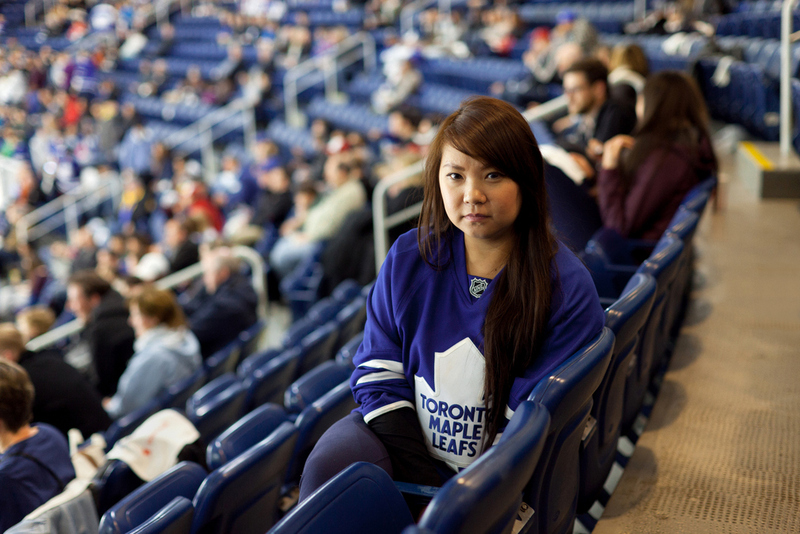 Other than ten years she spent in Montreal, she has lived in Toronto for her entire life. Sandra can trace her roots back to both Germany and Britain. In 1776 the Stief family arrived in Nova Scotia from Germany by way of Philadelphia. They settled on the Petitcodiac River near present day Moncton, New Brunswick. Sandra is a direct descendant of Frederick Stief, one of five sons. Samphire Greens, a book written about the descendants of the Stiefs, or Steeves, as they came to be known, enlightened Sandra about her ancestors’ history. Although she has traveled to fifty-five countries, Sandra says she couldn’t imagine living anywhere else. Sandra says she appreciates the multicultural environment in Toronto, emphasizing how the variety enriches Canadian culture. 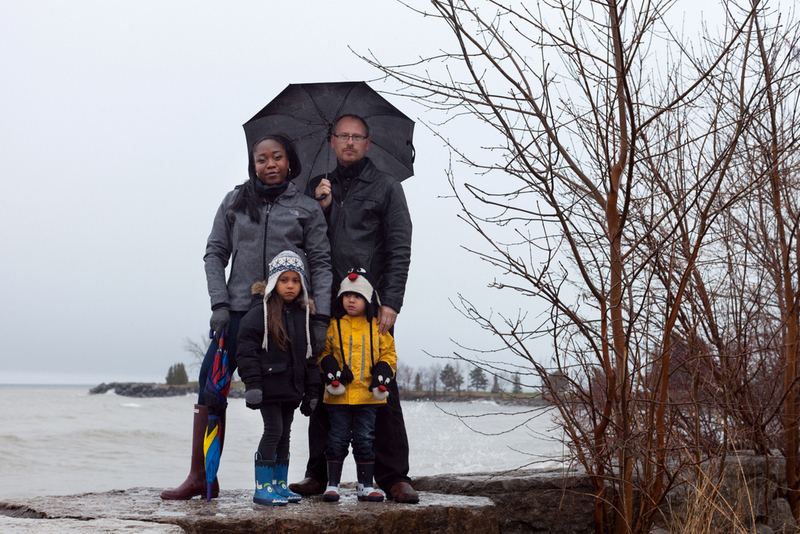 The Trans Canada Trail on Lakeshore is a meaningful spot for Sandra. Her family has contributed to the construction of the trail, with their names engraved forever on the plaques inside the kiosk. This trail crosses Canada from east to west and connects her to the place where her ancestors arrived so many years ago. Although Sandra herself did not have to make the journey that most of the other participants in Cosmopolis Toronto have, she is proud to say that her ancestors were some of the first Europeans who came and settled in this great country. 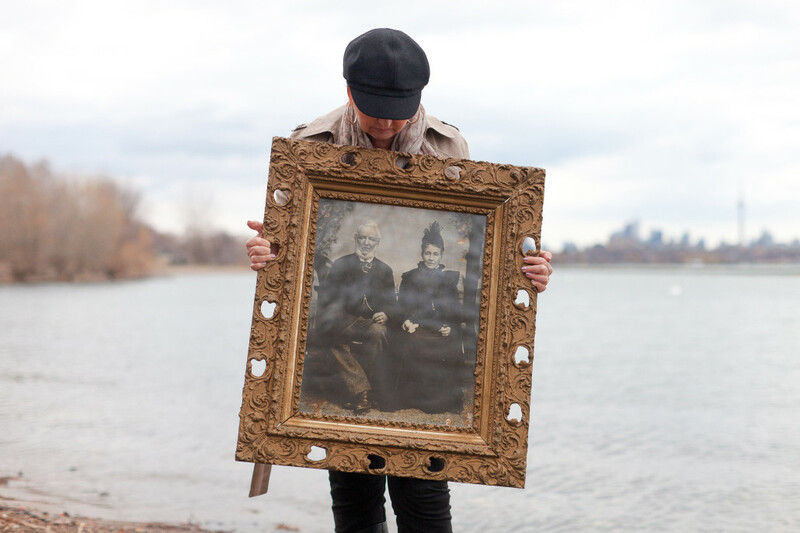 Sandra is holding a photograph of her great-great grandparents, taken circa 1880 in New Brunswick. Sandra’s copy of the photo has been enlarged from a 4×6 image that hung in a frame in her father’s childhood home. It presently has pride of place in her living room. It wasn’t until 1944 that her father and mother left New Brunswick for Toronto. Sandra was born here at the end of the war in 1945 and will always make Toronto her home.